"Today, 2.1 billion people – nearly 30% of the world’s population – are either obese or overweight, according to a new, first-of-its kind analysis of trend data from 188 countries. The rise in global obesity rates over the last three decades has been substantial and widespread, presenting a major public health epidemic in both the developed and the developing world." "The whole world is steadily becoming more obese, a new study shows, but not surprisingly, the U.S. is No. 1." "The number of overweight and obese adults in the developing world has almost quadrupled to around one billion since 1980, says a report from a UK think tank... this is due to... the consumption of more fats, sugar, oils and animal produce...which could lead to serious health implications...This is because consumption of fat, salt and sugar, which has increased globally according to the United Nations, is a significant factor in cardiovascular disease, diabetes and some cancers." Read the article from the BBC News by Clicking Here. More than 2 in 3 Adults are Considered to be Overweight or Obese in the U.S.
Click Here for the overweight and obesity statistics from the National Institute of Diabetes and Digestive and Kidney Diseases. One in five children born at the start of the millennium was obese by the age of 11, according to a major study. "While [everything in moderation] sounds like wise advice for anyone who wants a low-key approach to healthy eating, the term is problematic because “moderation” is left up to each individual to define for themselves. This meaninglessness could harm people who are trying to maintain or lose weight, according to new research from scientists at the University of Georgia and Duke University." Reuters found that the food and beverage industry spent more than $175 million on lobbying during President Obama’s first three years in office, more than doubling its spending under the last three years of George W. Bush’s administration, targeting proposals like a federal tax on sodas and stricter nutritional guidelines. "The evidence continues to pile up in support of veggie-lovers, as yet another new study found that plant-based diets are a great way to lose weight. Researchers published a study in the Journal of the Academy of Nutrition and Dietetics that discovered people put on a vegetarian or vegan diet lost more than seven pounds regardless of caloric intake or exercise regimens. What this means is that ‘counting calories’ matters far less than the public is led to believe, and it’s not about moderation in diet so much as making healthy choices." "Perhaps the biggest misconception is that as long as you lose weight, it doesn’t matter what you eat. But it does. Yet being thin and being healthy are not at all the same thing. Being overweight is not necessarily linked with disease or premature death. What you eat affects which diseases you may develop, regardless of whether you’re thin or fat. Some diets that may help you lose weight may be harmful to your health over time." "A recent report from the UK's Academy of Medical Royal Colleges described ‘the miracle cure’ of performing 30 min of moderate exercise, five times a week, as more powerful than many drugs administered for chronic disease prevention and management. Regular physical activity reduces the risk of developing cardiovascular disease, type 2 diabetes, dementia and some cancers by at least 30%. However, physical activity does not promote weight loss." Click Here for the article at the British Journal of Sports medicine. "The idea that our obesity epidemic is caused by sedentary lifestyles has spread widely over the past few decades, spurring a multibillion-dollar industry that pitches gadgets and gimmicks promising to walk, run and kickbox you to a slim figure. But those pitches are based on a myth. Physical activity has a multitude of health benefits — it reduces the risk of heart disease, Type 2 diabetes, high blood pressure and possibly even cancer — but weight loss is not one of them. Curbing the global obesity problem will require changing what we eat, not selling more pedometers and exercise videos. The bottom line: You can’t outrun a bad diet." Click Here for the article at the Washington Post. Does Exercise Increase or Decrease Your Appetite? "Immediately after vigorous exercise, appetite decreases, probably because of a temporary rise in body temperature, specialists say. But as soon as body temperature normalizes, appetite goes up." "A comprehensive 2013 literature review by Amy Luke, a public health scholar at Loyola University of Chicago, concludes that “numerous trials have indicated that exercise plus calorie restriction achieves virtually the same result in weight loss as calorie restriction alone. It’s calorie intake that is really fueling the obesity epidemic. But it’s not just the number of calories we’re eating as how we’re getting them." Trial evidence consistently reveals that basal metabolic rates tend to drop as people lose weight, despite daily exercise. Click Here for the study at Oxford Journals. "Crash diets try to fool the body, but the body doesn’t buy it. Rapid weight loss diets invariably fail because they are metabolically unsound, often unsafe, and just plain don’t work for these reasons:"
"Healthy living guru Angela Liddon explains how giving up animal products helped her overcome an eating disorder." Click Here for the article by Vegan and top Ultraman athlete Rich Roll. "Research shows that a plant-based diet helps children lose weight and lower risk of heart disease." "Three years ago, while I was in my late 30's, I made the best decision I have ever made in my entire life. After watching the film Forks Over Knives and the documentary Earthlings, I went 100% vegan, cold-turkey!... I've lost more than 65 lbs., and I want to make it absolutely clear that I did it without dieting." 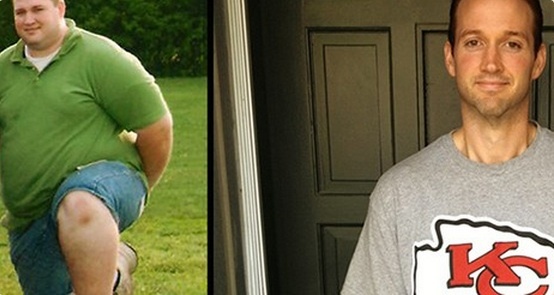 I Lost 180 Pounds in a Year … Along with High Cholesterol, Pre-Diabetes, and Sleep Apnea! "Eating only plants has yielded so many unexpected benefits. My once-high cholesterol and blood sugar levels have normalized. My persistent depression is now a thing of the past. And I no longer suffer apnea-induced sleep disruption and fatigue … In fact, I feel amazing!" "Just a year and a half ago, I was over 300 pounds and was on antidepressants and blood pressure meds. I’m a long-haul trucker, and I was having a hard time staying awake to do my job. Walking around hurt, and just getting up was a chore. Three months after I started [a plant-based lifestyle], the doctor took me off blood pressure medication. After five months, I was able to get off antidepressants. My cholesterol is down to 150 from 212. My blood pressure is also now 120/84, which is unheard of for me." "I have not consumed any meat, dairy, or eggs since watching it nearly two years ago. I became vegan overnight, and over the subsequent months, oils and processed foods became less and less frequent in my diet, to the point that I now eat them on rare occasion only. To date, I have lost a full 50% of my body weight (130 lbs.)... Now, it’s time for me to reach as many people as possible, not only to help them regain their own health, but also to help those without a voice, and our planet." 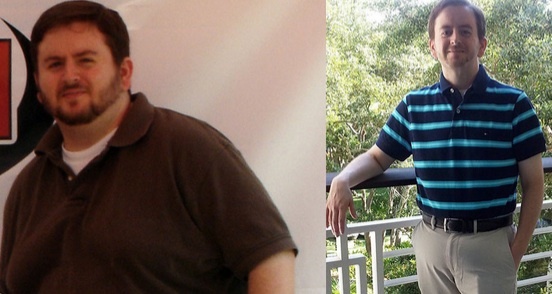 "In 2013, Benji Kurtz weighed 258 pounds. For a number of years he’d been trying to lose weight, following low-carb diets, only to find himself cyclically losing and gaining the same 30 to 40 pounds. 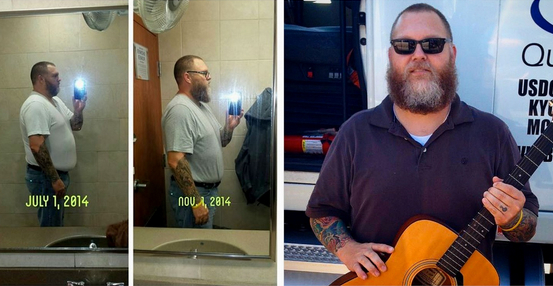 Jump to July 2014 and Kurtz has lost over 100 pounds, weighing in at just 138 pounds. What’s his secret, you ask? A low-fat vegan diet."